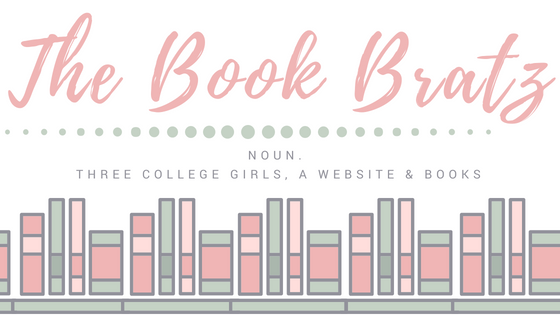 2015 was an eventful year here at The Book Bratz, we broke many miles stones, made new friends (Bloggers and authors alike), featuresd debut authors, created out own meme and much more! Now it is giveaway time! This giveaway it's a thank you to all our awesome followers and friends that help make The Book Bratz what is was this year! We will be checking all the entries so don't lie and say you did something! My favorite part of 2015 was not book related. My little sister asked me to be the maid of honor in her wedding! My favorite non-book related part of 2015 was going to my cousin's wedding. I had a blast! Other than that, my favorite part was getting time to read, even though it was a really hectic year (given the wedding I mentioned earlier). My favorite part was my wedding in October to my boyfriend of 10 years :) Thank you for the giveaway! Best part of 2015? Beta-reading and proof-reading a couple of books by favourite and friendly authors! They made me feel like I mattered :). 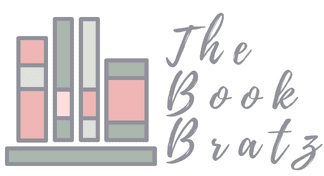 My favorite part of 2015 was starting my book blog in August! It's been so much fun and I'm eternally glad I joined. 2015 was a great year for me! I don't think I could pick a favorite part. I did well in school, I went to Ireland (!!! ), my best friend and I became roommates, I joined a sorority, I started blogging again. It was all so wonderful! Here's to hoping 2016 treats me just as well. The best part of this year has to be when I went to the Roanoke Author Invasion and met Jennifer Armentrout and Wendy Higgins, or when I met Colleen Hoover at this book store in Cincinnati. I love all these authors, so I can't choose between them. The best part of 2015 for our family was at the doctor's checkup for my youngest daughter learning she was not diagnosed with asthma. Wow, seems like you have both had a fantastic year! I would love to go to BookCon one day, it seems like a lot of fun :D I hope 2016 is a great year! Having my first child. I never thought it would be so amazing. My favorite part of the year was the releases of books I've been waiting and the success of some from my family! Thank you for the giveaway! My favorite part of 2015 was making new friends with fellow bloggers and the author of one of my new favorite books. I haven't had a favorite part yet. I'm glad I got to spend one more year with my family. I'll always be grateful for that. Thank you! My favorite part of 2015 was my grandbaby's first bday! My favorite part of 2015 was visiting my roommate from college in Indonesia with my mother. My favorite part of 2015 was deciding to go in a completely new and different career direction. Happy holidays! My favorite part of 2015 was catching up with all the book blogs I follow! I stopped around this time back in 2014 and had to clean up my bloglovin account a bit because a few bloggers quit. But I found some new ones! My favorite part of 2015 was when I started book blogging this year, May 2015. It's been a really wonderful journey since then and I wish to continue and improve my blog and relationship with the reading community. Graduating college bringing on many new experiences. My favorite part of 2015 was when we had our convention tour in Cebu and Bohol Philippines. It was such a nice trip! My favorite part (and most stressful part) of 2015 was getting my promotion at work. Lots of responsibility, but it's really awesome that Upper Management trusts me with the position. My favorite part of 2015 was attending a bookcon for the first time. We don't get a lot of conventions here in the Philippines and usually slots are very limited. I was very happy to have met bookish people IRL :) Happy New Year Amber and Jessica! New Years celebrations with the fam and friends. Thankfully Christmas is done and dusted for the year!! My favourite part was getting and seeing that my job is worth while. My favorite part was getting to known all the Night Owls, and finding out that I have full kidney function. It out things in perspective! In 2015, my liver disease was no longer a problem. My blood counts came back in the normal range. Huge answer to prayer! My favorite part of 2015 was meeting the love of my life and starting our wonderful relationship!! Thank you so much for the amazing giveaway! The best parts of 2015 are when I won Red Queen, had my first blog anniversary and won four ARCs in one giveaway! My favorite part was being able to go back to work full time now that my kids are in school. I also celebrated 5 years of sobriety this year. I spent 4 years or so addicted to heroine and opiate pain killers. It's a good feeling not to have to depend on some substance just to make it through a day! Loving life now, and greeting each day with a smile on my face! My favorite part of 2015 was the fact that I got to know so many amazing people in the new place i work at. They are so amazing and we get along. Also I love the fact that I got a new puppy so that's something to be happy about. My favorite part of 2015 was getting to travel the world as part of my Gap Year, it was an amazing experience I was lucky enough to share with my mum. Plus I read more books last year than I did the year before so I thought that was a big accomplishment. It's hard to think of something good when my December was so bad. Oh wait, no I had bariatric surgery in 2015. Since then I've lost 50lbs and I'm down 2 pant sizes, which is a big deal to me. I'm super happy about that. Thank you for the giveaway! All the great books I got to read!!! my trip to Bali ! Discovering The Mara Dyer Trilogy and finishing it in three days. YES. My trip to Lisboa to see my sister! My favorite part of 2015 was when I got kittens for Christmas from my husband! 2015 was not a good year for me personally so I think the best part was all the great books I read. My favourite part of 2015 was starting my blog, and it's been a year already! My favorite part was watching my daughter graduate from high school. I'm so proud of her! Least favorite--dropping her off at college and not seeing her everyday. My favourite part of 2015 was connecting with awesome online friends and making a Simon vs. tee, with profits to a LGBTQIA+ charity.